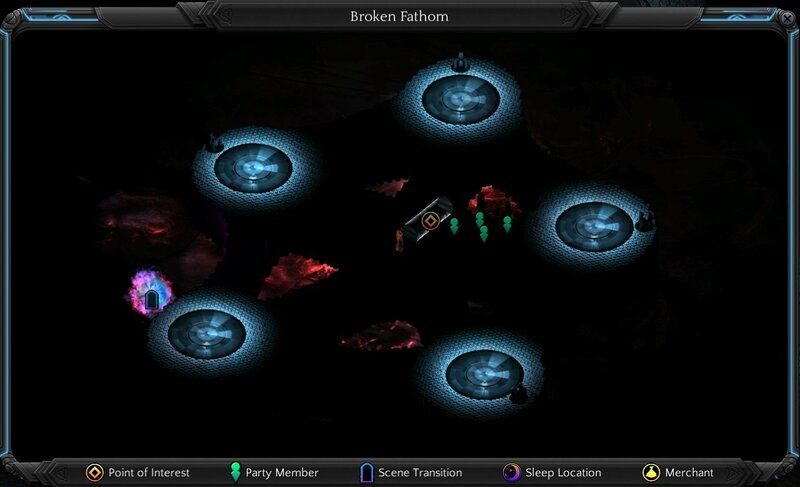 Broken Fathom is a location in Torment: Tides of Numenera. You need to reach the centre plaform and activite that stasis pod to recreate the bridges, the correct order is to move counter-clockwise. When you back to the east platform, summon that clone of yours to press the button on next platform. Ghostly Woman will tell you more story about her and Changing God, she can also heal you and refill your Stats pools.